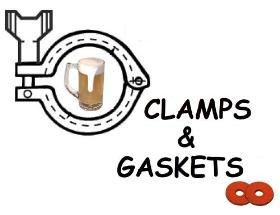 Clamps & Gaskets: News Roundup for Weeks 2/3, 2015. The rate of craft-beer share gains that began 2014 at 2.2 share points, by year's end, fell by nearly half to just 1.2 share points. The larger, top-20 craft brand families--as a group accounting for 35.5% of the segment--were basically flat for the year. volume of smaller 'craft' beer brands grew by 4.4%. —Via Hey, Beer Dan (quoting statistics from Guest Metrics). 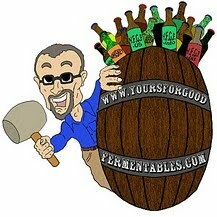 Beer writer Jeff Alworth sees robust, growing 'craft' beer market in 2015, but, also, a growing number of brewery failures. Non-Newtonian fluid dynamics, and the Great Boston Molasses Flood of 15 January, 1919. Eight people were killed when a wave of syrup swept through the streets of Boston, Massachusetts. Large California 'craft' brewery, Lagunitas, sues larger Sierra Nevada Brewing over trademark infringement because of the latter's use of the letters "IPA" in (somewhat) similar typeface as its own. After public criticism, relents. An Icelandic brewery is making beer from the testicles of endangered-species fin whales, smoked with dried sheep dung. 52 people die at a funeral in Mozambique, after drinking pombe, a traditional Mozambican beer made from millet or corn flour. Authorities believe that the drink was poisoned with crocodile bile during the course of the funeral. —Via Associated Press (at WTOP Radio). The Brewers Association of Maryland (BAM) hires the director of the Maryland Wine Association—Kevin Atticks— as its new executive director, replacing outgoing director JT Smith. Atticks to simultaneously retain dual directorships. "The tax code needs to not penalize nation’s small brewers.” The Small BREW Act (Small Brewer Reinvestment and Expanding Workforce Act) re-introduced in House of Representatives. 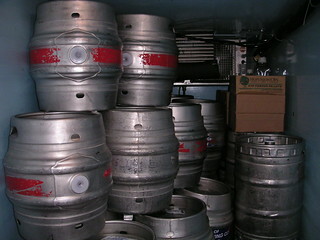 Proposes to lower the excise tax rates on breweries producing fewer than 60,000 barrels, 2 million bbls, and 6 million bbls. The first 'rural' branch of the NAACP (National Association for the Advancement of Colored People) was founded in Falls Church, Virginia (a suburb of Washington, D.C.), on 8 January, 1915, in protest of proposed segregated districts in the city. One hundred years later, a ribbon-cutting ceremony at the Tinner Hill Historic Site celebrated the occasion. “Cask beer is the craftiest 'craft' beer there is.” Baltimore, Maryland, brewers are bringing cask ale back to the city's bars. Terrorists attack the offices satirical French newspaper. Kill 12. "Forgetting old favourites in the rush of the new is one thing. 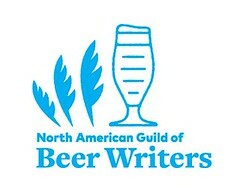 But actively deciding that beers or brewers are boring, bland, middle of the road or sell-outs simply because they have been around for a while, or have grown much bigger than they were, is foolish, snobbish and blinkered." —Via British beer writer, Pete Brown. Fascinating look at Highland Brewing, one of the pioneers of the 'craft' beer business, in Asheville, North Carolina. As founder Oscar Wong steps down from day-to-day operations, new female president and new female head brewer announced.